We love our customers and we love to hear from you! If you have had a great experience with us, please share your story on our Google+ page . Rainy weather can cause mold to grow in your home. When your home is experiencing a serious mold problem, the structural integrity of your home could be compromised. In addition, mold can cause a variety of respiratory issues and other health problems. To deal with your mold problem, it is a great idea to schedule a professional mold removal service . By hiring a mold remediation company, you will be able to clear all of the mold from your home. The experts at Island Catastrophe Environmental Restoration provide mold removals serving Center Moriches. With a mold inspection and mold removal service from our company, you will be able to control your mold problem for good. To learn more about the dangers of mold, watch this video. Mold may look unsightly in a home, but the aesthetics of a mold outbreak are the least of the concerns homeowners face. Mold can be extremely damaging to your family’s health. Exposure can cause a laundry list of health concerns, including respiratory issues, memory problems, chronic fatigue, and skin rashes. In fact, the physical symptoms of mold exposure are sometimes the first sign that there is a problem, especially if the mold is growing behind wallpaper. This infographic from the mold removal experts at Island Catastrophe Environmental Restoration explains the risks of mold exposure and details the mold remediation process. We provide mold removal in Center Moriches using botanical products that are as safe as they are effective. Our experts start by evaluating your home for mold so that we find all of the impacted areas, and after removal, we’ll treat your home to prevent the mold growth from recurring. Mold can happen in any home, so help spread the word about this health hazard by sharing this infographic. Flood insurance can protect your home and property in the event of unexpected water damage. With a flood insurance policy for your home, you will be able replace or repair your basement items in the event of a flooded basement or other water damage emergency. 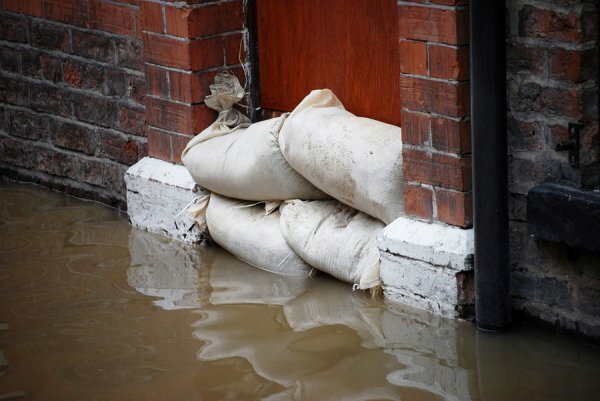 To help eliminate the danger of a flooded basement, you may want to look in to basement waterproofing . The technicians at Island Catastrophe Environmental Restoration can help prevent or repair a variety of water damages. We provide the Center Moriches area with basement waterproofing services. During your water damage cleanup, you will be able to assess the total level of destruction to your home and personal property. Depending on your type of contents coverage, your insurance company may reimburse you for all or some of the damages. By protecting your home with flood insurance and waterproofing, you will be fully prepared in the event of a major storm.